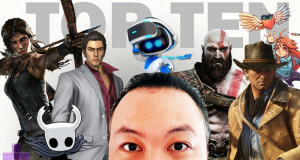 2017 was one of the best years ever for video games. The best since 2007. Which itself was the best since 1997. There must be something in the waters when it comes to video games and this milestone because there were more good video games that came out in the last twelve months than any one person could hope to play. The year started with Resident Evil 7 and Yakuza 0 in January and didn’t let up from there. Every month saw a handful of great new game released to market with the breadth of quality games reaching far and wide. There was something new and enjoyable to play on everything from the Playstation 4, to the Xbox One, to the PC and to the Switch. Ah, the Nintendo Switch. It’s hard to be believe its not even a year old yet. 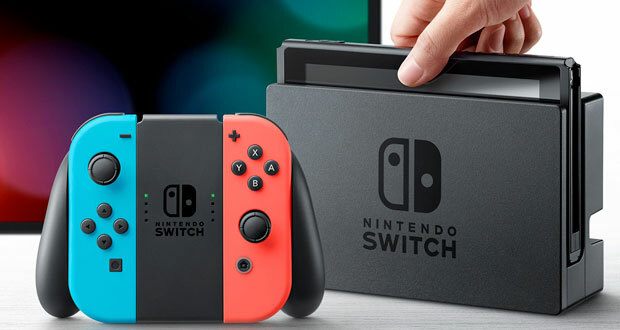 In 2017, Nintendo stormed back into prominence with their latest piece of hardware – a system that blurred the lines between a home console and portable device. 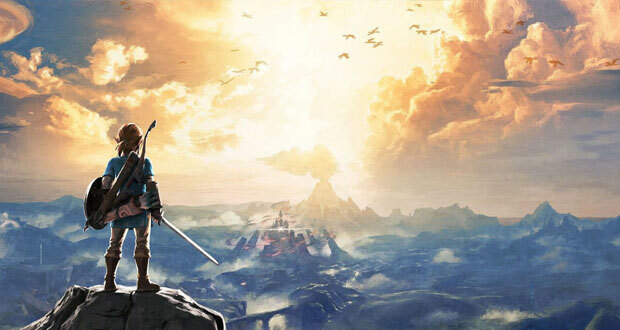 The system launched with Legend of Zelda: Breath of the Wild, a game with a Metacritic score that marks it as one of the best ever made – and Nintendo never looked back from there. It’s a fitting tribute to Nintendo’s late president Satoru Iwata, who oversaw the development of the Switch but unfortunately didn’t live to see its eventual success. The video game industry is humming in a sweet spot right now. The Playstation 4 and Xbox One have both been out for four years and both systems have a generous catalogue of great games, many of which you can pick up for dirt cheap. Playstation VR has also quietly plugged along, selling a couple of million units and there are plenty of great games on the device now. 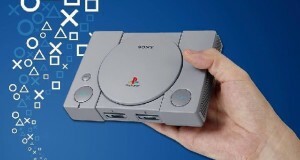 I think there’s probably another good 12-18 months of this current gaming climate to enjoy and then my guess would be that in 2019, either Sony or Microsoft will make the first move and announce a successor to the current systems on the market. Video games: They’re pretty great. They’ve never looked better. There’s something for everyone. It’s a good time to be playing video games. On that note, here are my ten favourite games of 2017. Breath of the Wild was an important video game for Nintendo. It’s not an exaggeration to say the fortunes of the company rested heavily on the success of its latest Zelda title. The Wii U had been an absolute disaster for Nintendo and their new system – the Switch – was launching with only a handful of games, of which Breath of the Wild was undoubtedly in the spotlight. It needed to deliver. Nine months later, its safe to say that the game did exactly what it needed to do. The Nintendo Switch is a huge success, selling nearly ten million units by the end of 2017. Breath of the Wild was a critical and commercial success, giving the long-standing series a much-needed shot in the arm. I put over eighty hours into Breath of the Wild. The game entertained and surprised me from its opening minutes to the very final battle with Calamity Ganon. I played a ton of amazing games in 2017 but none of them were finer that Legend of Zelda: Breath of the Wild. It was truly something special. In any other year, Super Mario Odyssey is my Game of the Year. Which just speaks to what a ridiculously stacked software lineup Nintendo had in 2017 for the Switch. Super Mario Odyssey is a sensational 3D platformer starring Nintendo’s signature character and is a spiritual successor to the classic Super Mario 64. 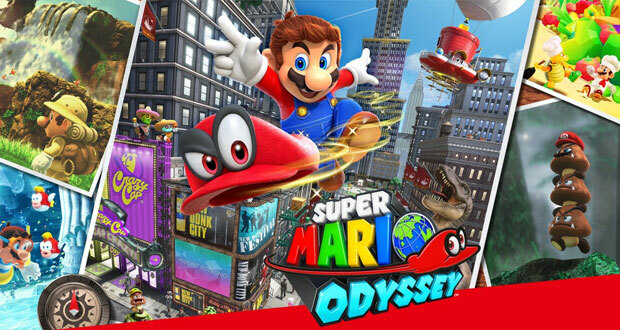 In Odyssey, Mario navigates a variety of different worlds, collecting moons to power his airship with his new pal Cappy. Each level is a wide-open sandbox style environment where finding a moon or completing an objective can lead to the environment transforming and unveiling new areas to explore. Depending on how you look at it, Super Mario Odyssey has only one power up for Mario, or fifty. The star of the game is Cappy, a sentient hat that Mario can toss onto enemies which allows him to possess their bodies and absorb their abilities. As you can imagine, the possibilities feel limitless. One could tell how confident Nintendo was in this new feature as they give you a goddamn tyrannosaurus to possess in one of the first levels of the game. It’s a statement of intent. If you think this is crazy, just wait till you see what’s next. What’s next includes Mario transforming into a caterpillar, a bird, a bolt of electricity and even a slab of meat (!). The controls in Super Mario Odyssey are razor sharp. The levels are superbly designed, chock full of secret nooks and crannies to discover. 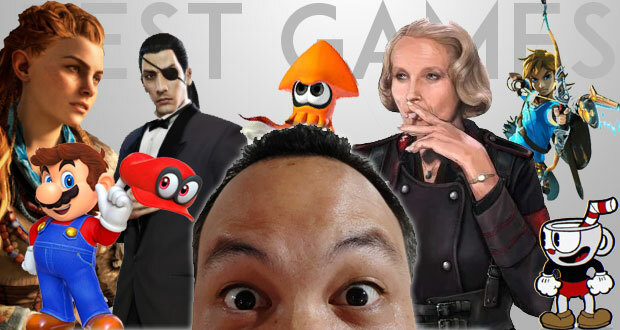 The fan service is reverent and taps into the series’ rich history in a way that will enthrall anyone that has played a Mario game in the last thirty years. It’s the best Mario game in a decade. A must play. I think the concept art (pictured above) sells the game better than I ever could. Imagine being a crossbow wielding warrior on horseback, drawing your weapon on a gigantic mechanical dino-bird in a post apocalyptic planet Earth. This is why we play video games, right? Guerilla Games dreamed big with the proof of concept for their ambitious new title and happily, it delivered the goods. 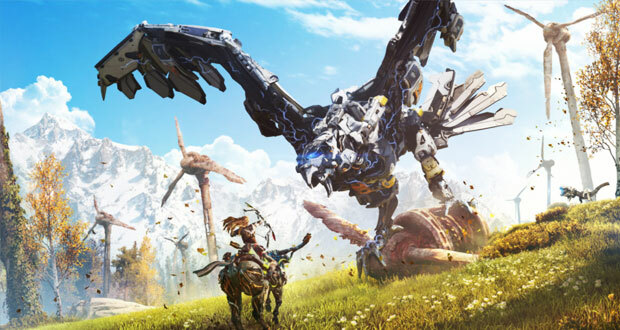 Horizon draws players into a gorgeous future-Earth landscape (its my pick for best looking game of 2017) and tasks players with guiding an orphaned outcast named Aloy through a world populated by mechanical dinosaurs and warring tribes of humans. I like pretty much everything about Horizon. The characters and world building in this game is a refreshing change from the video game norm. The combat is absolutely amazing and really comes into its own with some of the later battles with the larger beasts which take a lot to bring down. The difficulty curve is just right. Lastly, it spins a good yarn, with a story that asks many questions and actually answers most of them by the time the credits rolled. Horizon: Zero Dawn deserves every bit of success that comes its way. I look forward to the next chapter immensely. I’ve followed the fortunes of Yakuza creator Toshihiro Nagoshi for years. Back when he made Super Monkey Ball for the Gamecube and wrote about his whisky habit in Edge magazine over a decade ago. I’ve played and enjoyed each chapter of his storied Yakuza franchise which first arrived on Western shores in 2006. 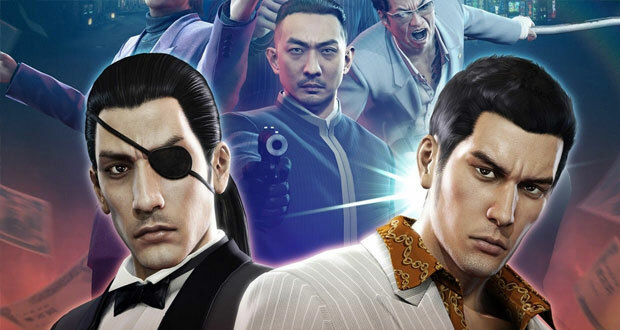 But every game series will go through its peaks and troughs and after Yakuza 5, a solid but hardly inspired effort, I thought Nagoshi-san had done all he could with the series. How wrong I was. By going back to where it all started and creating a prequel set in the Eighties, Yakuza is back and as good as it ever has been. Yakuza Zero tells the story of how the Dragon of Dojima, Kazuma Kiryu, came to be. It is an absolutely riveting Japanese crime caper, filled with twists and turns and high melodrama. This is supplemented with an absolute goldmine of gameplay to enjoy. The basic combat is as crunchy and satisfying as its always been (slow motion fists to the face, using your environment as a weapon etc.). The side quests are some of the funniest and most outrageous I’ve ever played in a video game. There’s a real estate management mini game. A cabaret management mini game. Playable arcade Sega games from the Eighties. Collectable cards. A fight club tournament. Mahjong. Karaoke. Dancing. Dating. Whisky drinking. You will never run out of things to do in this game. But much like Grand Theft Auto: Vice City, one of the best things about Yakuza Zero is the setting itself. No matter what you’re doing, its made all the more enjoyable because its set against the backdrop of the Eighties with its incredible hairstyles, bright neon lights and fantastic outfits. 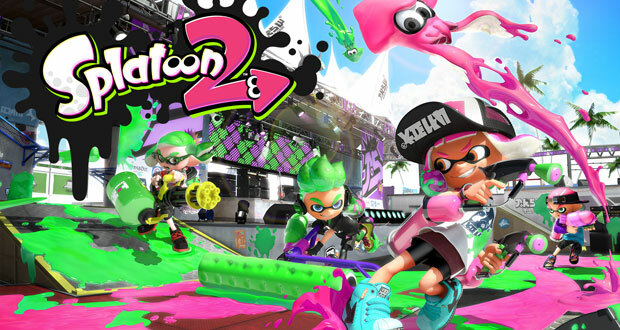 Two years ago, Nintendo made this great online shooter called Splatoon. You played as these zany looking kids with colourful hair who could transform into squids (you heard me). Each level pits four on four as they engage in the mother of all paintball contests. The whole thing played great, was coated in this quite magnificent Nineties aesthetic and it had an absolutely bitchin’ soundtrack. But here’s the thing. It was released exclusively on the Wii U which was owned by me and about a dozen other people in the world. The good news is that Nintendo bounced back and their new system, the Switch, is a roaring success. So it was only right that Nintendo published a successor to Splatoon which had even more levels, new weapons and a bunch of new modes, to give the game the audience that it deserves. If you own a Switch, after you’re done with Mario and Zelda, you should probably check out Splatoon 2. You won’t regret it. When considering the potential for what VR can offer video game enthusiasts, ‘an interactive recreation of the Matrix shoot outs’ is a pretty good elevator pitch if you ask me. This is exactly what Superhot VR is. As far as I know, this is the first ever virtual reality first person shooter puzzle game. The mechanics work like this: the bullets in the world only move when you do. Say a level starts where you’re in a stand off with three armed gangsters. You might fire your gun at the first guy, whilst dropping your shoulder in slow motion, watching the bullet whizz by right in front of your face. It you successfully dodged it, you’ll slowly turn to your side and fire two more rounds at the other guys, dropping them both in one smooth, super cool action sequence. VR is an exciting new frontier that offers so much potential. 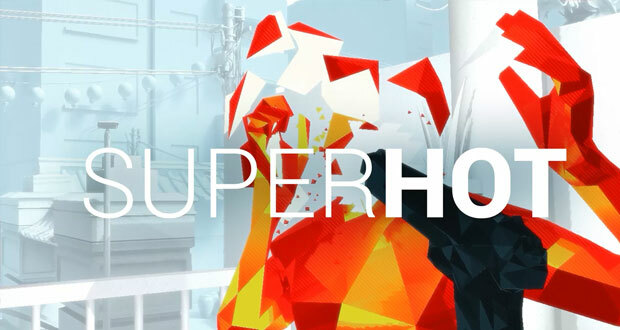 Superhot is one of those games that delivers on a sliver of that. Is this the last ever Uncharted game? I’m not so sure. 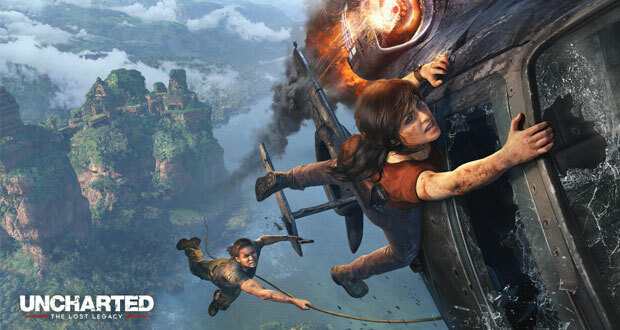 Last year Naughty Dog retired protagonist Nathan Drake in Uncharted 4 and with this spin-off, Lost Legacy, they’ve given Chloe Fraser and Nadine Ross the chance to shine as the new leads. You know what? It works a treat. Lost Legacy was put together in just twelve short months (a phenomenal achievement) and what it offers is a lean, mean Uncharted experience which might be just the ticket for many fans of the series who struggled with Uncharted 4‘s occasionally laboured pace. Exploring ancient ruins, discovering treasure, fighting goons and hanging off the side of moving vehicles. All the classic Uncharted tropes are here. Only it takes half the time it usually does to see it through from start to finish. I thought I had my fill of Uncharted but after Lost Legacy I’m not so sure. There are some great tresure hunting characters in the Uncharted series. I think I’d quite happily visit a few more exotic locales with them as they look for the next big score. Timing is everything. After what felt like an eternity in development, StudioMDHR’s Cuphead finally arrived on the Xbox One… just as almost all of Microsoft’s other high profile exclusive titles got delayed, cancelled and fell by the wayside. 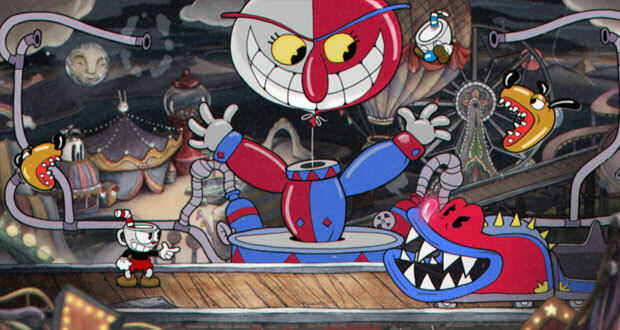 Alongside Forza 7, Cuphead became an unlikely high profile holiday exclusive on Microsoft’s platform in 2017. The first thing that has to be said about Cuphead is that it looks like a work of art. Drawing inspiration from the art style of animated cartoons from the Nineteen Thirties, StudioMDHR absolutely nailed their visual and animation ambitions. If it takes four years to get Cuphead to look and run like a playable Steamboat Willie then so be it. Famously, the game is absolutely hard as nails. In some ways, this seems a pity. The game looks so gorgeous that I’d prefer as many people as possible see every single stage that the developers cooked up. I still think the game should have a casual mode for that very reason. But if you’re up for the challenge, Cuphead is a delight. It is absolutely as brutally hard and unforgiving as you’ve heard, but the controls are pixel perfect, there are unlimited lives and you respawn after death in just a fraction of a second. Cuphead, particularly the later levels, is a masochistic but enjoyable war of attrition where you record progress in inches, die a hell of a lot, and learn each level slowwwly. What feels impossible at first, becomes achievable over time. StudioMDHR keeps you on your toes by changing up the boss animations and the attack patterns too which helps keep things fresh. It was a long time coming but worth the wait. 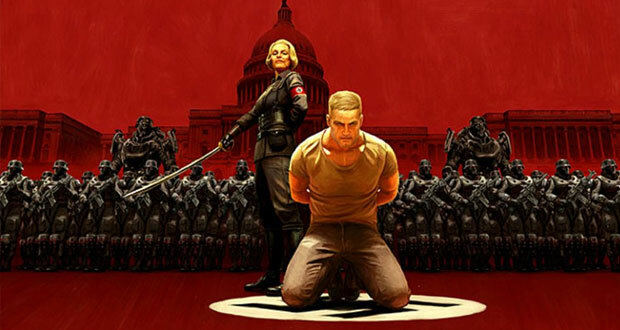 The New Colossus is the much anticipated sequel to Machine Games’ excellent Wolfenstein: The New Order. It takes up where the previous game left off as Blazkowicz and his crew travel by U-Boat from Europe to America, hoping to liberate it from the Nazis. Just like The New Order before it, this latest Wolfenstein is a thrilling shoot ’em up splatterfest. If you’re looking for a game where you get to lay waste to Nazis, a dozen at a time, then this is your game. But what elevates this series to new heights is the strong writing and voice acting. A surprising amount of care and attention is given to the narrative in Wolfenstein II and Machine Games has really found its voice with The New Colossus. The game has a distinct narrative style that is wildly erratic in tone. The game leans hard into some very dark subject matter and then veers away with some unexpected, over-the-top comedy, often in the same breathe. I cannot believe some of the stunts they pull in this game. There are about three sequences in The New Colossus that had my jaw on the floor. To best enjoy Wolfenstein II it is vital to come in unspoiled. It is a bombastic action game for the ages. Edith Finch goes back to her family home. She belongs to the Finches, ‘America’s Most Unfortunate Family’. With each generation, every family member dies an untimely early death with only one family member surviving long enough to have children to carry on the Finch lineage. Edith visits the Finch estate to learn about the curse, her family members and what the future holds. What Remains Of Edith Finch is a smartly written, tightly constructed work. It has a narration from Edith that runs right through the game and this gives it the details and pacing of a short story or novella. It also employs a lot of narrative devices more commonly seen in books too. A lot of what the player sees and hears in What Remains is a metaphor for the Finch family members lives and aspirations. Very little of what we see before us is intended to be interpreted literally. What Remains charts a narrative arc through subjects as dark as infanticide, drug addiction and suicide. And yet the sum of its parts isn’t nearly as bleak or morbid as that might sound. Instead, it manages to be something else entirely. Introspective, quietly thought-provoking and haunting. 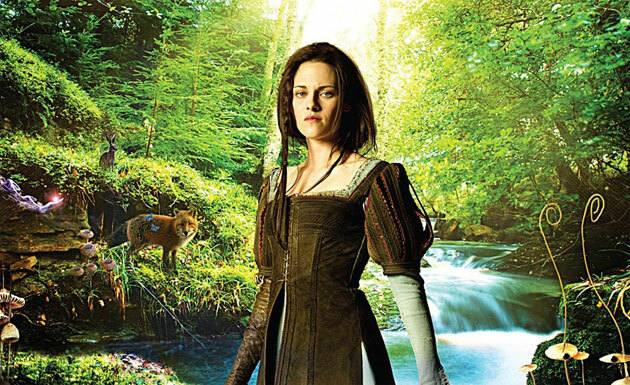 It is a remarkable achievement in this medium and there is very little else like it. 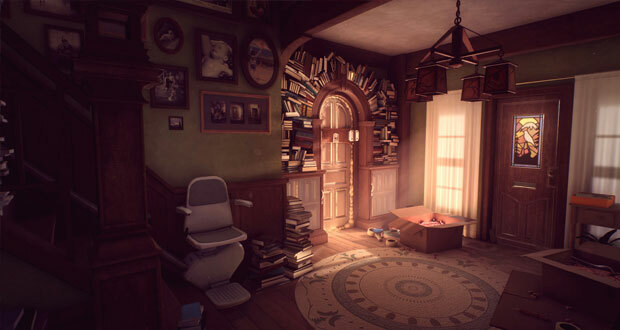 It probably won’t win many ‘Best of the Year’ awards but I can imagine What Remains of Edith Finch being the type of game that still gets talked about, ten, twenty years from now. Super Nintendo Mini Classic Games Library – Nintendo did a lot of great stuff in 2017 but if I’m honest, the best thing they probably did was releasing the Super Nintendo Classic Mini. 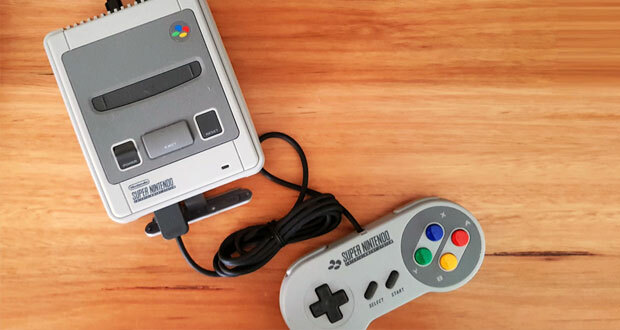 A pint-sized replica of the Super Nintendo (my favourite console of all time), it came loaded with twenty one classic titles. It is absolutely amazing having this device on hand so that I can easily replay the best of the SNES without having to fiddle around with emulators or finding an old tv that my original can still hook up to. I recently replayed Super Mario World, The Legend of Zelda: Link To The Past and Donkey Kong Country all through to completion. In my mind, they’re as good as it gets. Pyre [Playstation 4] – Pyre is a fantasy RPG-themed version of NBA Jam. Weird, right? To this day I still struggle a bit to wrap my head around how to play this game but I admire its ambition and the actually story line itself is pretty enjoyable. Puyo Puyo Tetris [Nintendo Switch] – Two of the best puzzle games of all time in one, attractive package. Sure it’s possible to buy this game on other formats but if you get it on Switch, you have portable Puyo Puyo. The multiplayer mode is a hoot. Picross S [Nintendo Switch] – portable Picross! Hundreds of puzzles. For only $13! Maybe this should’ve been in the top ten as its probably the best value game of 2017. If you’ve ever been drawn into doing picross puzzles, you should absolutely get this game. If you haven’t, its probably time you discovered picross. Stardew Valley [Nintendo Switch] – portable Stardew Valley!!! My 2016 Game of the Year is now available on a wide variety of formats but the Switch is naturally the best of the bunch since you can now play it on tv, in the bed or out on the go. Still a great, great game. Elder Scrolls V: Skyrim [Nintendo Switch] – portable Skyrim!!!! You get the idea. The beauty of the Nintendo Switch is that as its library continues to expand, we’re going to be treated to seeing some of the best video games become even more accessible than ever before. Skyrim may be six years old but its still an amazing product to have on the go. This is also the Game of the Year edition so all the extra content is bundled in too. I bought one game on my Xbox One this year (Cuphead). One!!! Microsoft had an absolutely abysmal year with their first party efforts (and third party exclusives for that matter) as major titles got delayed (Sea of Thieves, Crackdown 3) or cancelled entirely (Scalebound). I have to think that next year the situation will improve because it surely couldn’t get any worse. Longer term, Microsoft will have to do something more substantial to rectify this problem. Halo and Gears of War aren’t as popular as they once were and nothing new has really emerged to replace them. There was an app that Microsoft released at the end of year which showed you how much you played your Xbox in 2017 and what your favourite games were. It turns out I played my Xbox a grand total of 12 hours in 2017 and spent most of my time on a game I got for free (Murdered: Soul Suspect). It’s basically collecting dust at this stage. I really hope for better things in 2018. Loot boxes are random number generators that spit out the content you need to progress further in a game. By randomizing your chance of progression, video game publishers can entice players to pay real money instead to simply buy their way forward. In an effort to squeeze every last dollar out of customers, two publishers – Warner Bros and EA – went in hard on loot boxes this year with their flagship games. Players hated it and pushed back just as hard. It got so bad that some countries are exploring whether this could recategorize these games as gambling devices. Good job Warner and EA. Hopefully the backlash will cause greedy publishers to think again in 2018. The Switch is a great system and all but would it kill Nintendo to have Netflix run on this thing? Also, where’s the Virtual Console library at? Both Sony and Microsoft have entered the 4K gaming space with their premium consoles – Playstation 4 Pro and Xbox One X. To be honest, it’s been a bit of a mess. The Pro doesn’t play 4K Blu Rays. 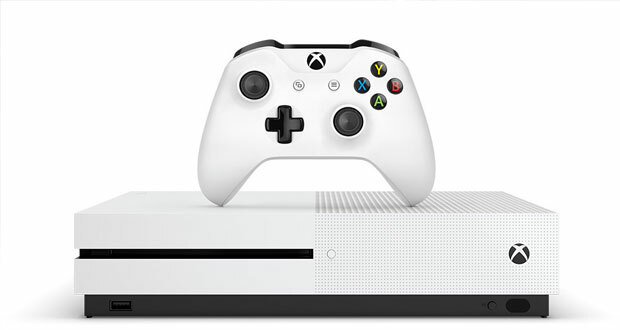 Neither system has games that are exclusively built from the ground up to run on 4K. There are some games that literally run worse on the premium system. There isn’t a standardized approach to what gets improved (some games its framerate, others its resolution, occasionally its both). Too expensive, too complicated and too unreliable. 4K gaming is here but it hardly feels like an essential upgrade. It’s hard to imagine the video game industry without Nintendo but for a while there, they were really in a jam. 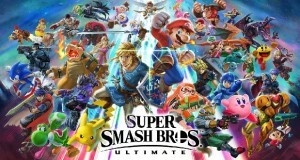 The Wii U was a disaster of incredible proportions (selling approximately 10% of the total units achieved by the original Wii) and their ever reliable portable market – currently occupied by the Nintendo 3DS – was looking long in the tooth and losing market share to mobile games. When Nintendo went all in on a single device that functioned as both a home console and a portable, they had to succeed. Of course, the Switch came out firing with Breath of the Wild and the rest is history. It’s probably still too early to say if the Switch is guaranteed long term success but its certainly done the hard work. The Switch is a fantastic system which quickly built up an impressive library of great games and the word of mouth around the system is incredibly positive. Not only are they finding a wide audience with the system, it seems like they might have finally cracked the code and developed a platform where third party publishers get a share of that success too. There were plenty of positive sales stories going around in 2017 of publishers citing the Switch version of their games as having the best sales figures. We’re seeing the likes of Bethesda, THQ and Ubisoft throwing their support behind the console which bodes well for the future of the Switch. The number of great indie titles on the system can’t be understated either. But it all comes back to games and even though Sony had a fantastic year on their platform (Yakuza 0, Horizon: Zero Dawn, Persona 5), Nintendo had an even better one thanks in large part to the double whammy of Legend of Zelda: Breath of the Wild and Super Mario Odyssey. A simply incredible line up for their first year. What does 2018 hold for Nintendo Switch? Well, we presumably will find out more about their plans for Virtual Console as well as their first foray into providing a paid online subscription service. And if we’re lucky – Metroid 4 and some news on a new Animal Crossing.